A bang up-to-date photo guide to what is arguably Scotland's dark horse city - the one historically less recognised as a place to visit. Now, the vision for a re-developed waterfront is turning into reality, with the jewel in the crown being the V&A Dundee, opened in September 2018, the first ever dedicated design museum in Scotland. 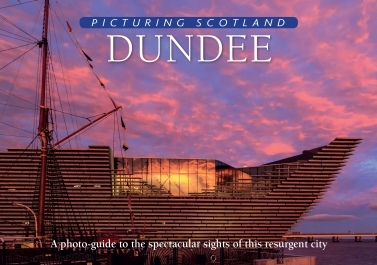 The book has both exterior and interior pictures of Dundee's new icon. Its coverage of the rest of the city ranges from city piazzas to Desperate Dan, architecture to parklands and from day to night.